I've been catching up with my Christmas recordings today and have just watched the programme about Julian of Norwich. Prompted me to find out a little bit more about the odd phenomenon of the religious recluse. I dug out my old copy of Julian's Revelations of Divine Love which is - whatever you may think about her theology - a lovely bit of writing: the first piece of prose known to have been written in English by a woman. Found some interesting information in the introduction by Clifton Wolters. His translation into modern English is pretty old now - 1966 - and I wondered if the historical facts he offers are still considered accurate. Clifton states that in the Middle Ages the solitary life was "almost popular". Apparently it took various forms. There were "hermits", foot-loose male solitaries who did not hide themselves away from the world, but would rather wander about - rather like tramps. According to Clifton they did "good works", which often meant working on the "servicing of roads and bridges". I found this surprising, because I have always thought of a hermit as being a recluse. Not so, apparently. The true religious recluse was an "anchorite" (m.) or an "anchoress" (f.). Such men and women went through an elaborate "ritual of enclosure" which, within the setting of the Mass - generally of the Dead - saw the candidate shut away into his or her cell, the entrance to which was then blocked up. This ritual was an important one and was "both spectacular and grim". It seems, however, that there was no shortage of candidates. The role of recluse was considered to be a worthy and honourable one and, during the 13th and 14th centuries when "English mysticism burst into flower", every town of any consequence sought to have one local solitary and often made a substantial contribution by way of maintenance. "They were regarded as part of its welfare services," writes Peter Anson, "quite worth maintaining for the spiritual good derived from their prayers and penances." The records confirm this: there were six recluses living and maintained in Winchester in 1259; two at Lincoln in 1392; eight (at least) in London about the same time. In 1415 Lord Scrope of Masham left benefactions to solitaries in "London and York, with their suburbs; as well as the anchorets (sic) and recluses of Beverley, Stafford, Hampole, Leek, Newcastle, Gainsborough, Southwell, Stanford, Dartford, Shrewsbury, Kirkby Wath, Kexby Wighton" and "three other places". 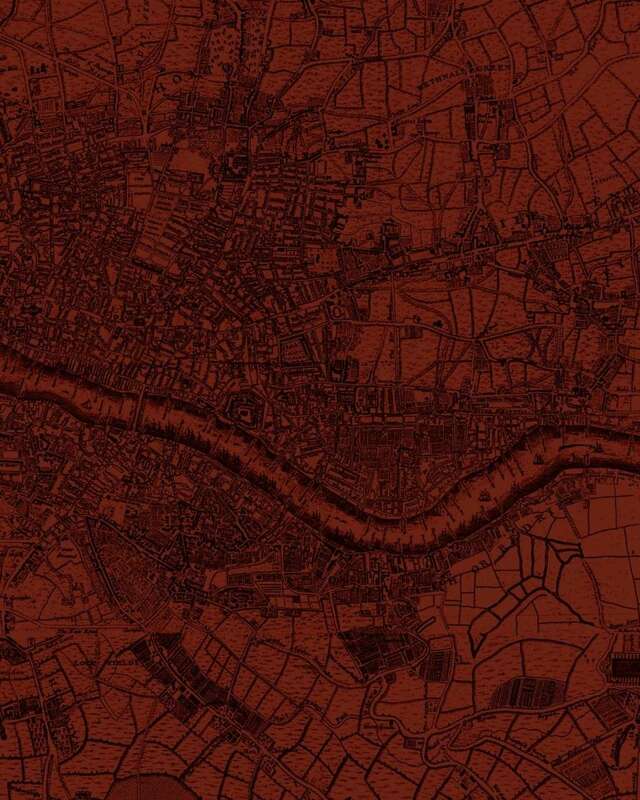 There were anchorages all over England in churches, monasteries, convents and even castles. Obviously there was no shortage of vocations for this odd life. Some, like Julian, spent decades shut away. Julian's writings are down-to-earth and unpretentious - she seems to have been a sane woman, not a person who was afraid of life and seeking to run from it, or some sort of crazy, would-be-mystical attention seeker. But others must, I suppose, have been quite unbalanced. We do well to be wary of "mystics". I have always been amused by something Bishop Butler is reported to have told John Wesley: "Sir, the pretending to extraordinary revelations and gifts of the Holy Ghost is a horrid thing, a very horrid thing." But Julian's revelations were not "horrid". I think she was utterly sincere. When did all this being shut away stop in England, I wonder? With the Reformation? Did the vocation of recluse continue in Catholic Europe? I have no idea. Has anyone else? "It would be wrong to imagine that the cell was the tiny, bare, uncomfortable room of popular belief. It was unlikely to have been a mere bed-sitter. More probably it would have been a suite of several rooms, or even the medieval equivalent of a bungalow* surrounded by its own fenced garden. There was no standard pattern. " There were also servants provided: there is frequent mention of maids - even a "kitchen-boy"! - in some of the records. Julian of Norwich had at least two such servants - we even know their names: Sara and Alice. Seems the life - peace and quiet with time to think and write - was not too bad at all. Some anchoresses even did a little teaching and others acted as the medieval equivalent of the modern counsellor or psychiatrist. Margery Kempe's visits to Julian suggest that she regarded the Norwich mystic as such - Julian was her spiritual director or adviser. 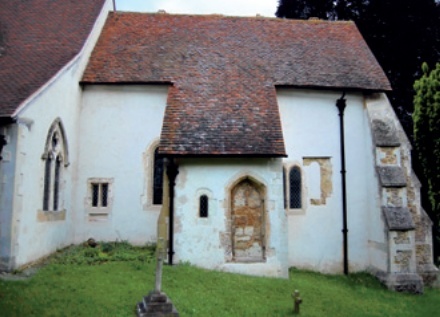 The church in which I was baptised has the remains of an anchorite cell ... and interestingly the chuch is dedicated to St Julian of Le Mans ... and Julian of Norwich seems to have taken her name from the church in Norwich which was also dedicated to St Julian of Le Mans. Is that just a coincidence or is there more in that I wonder? The remaining bit of the cell is a narrow hollow with a little ledge (to kneel during services?) and with just enough headroom to stand judging by the arched roofline. 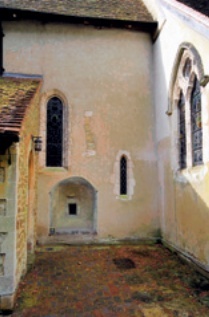 The little square window at the back is a hagioscope which originally connected to the nave (but as I recall, later remodelling of the interior means it now communicates with the vestry, which is also accessed from outside by the door to the right). As I understand it the actual cell extended out from the wall and was probably built of timber, brick or plaster, and so the remaining hollow is really only the back of the cell with it's communicating window into the church. The cell is recorded as being intact until the 14th century. 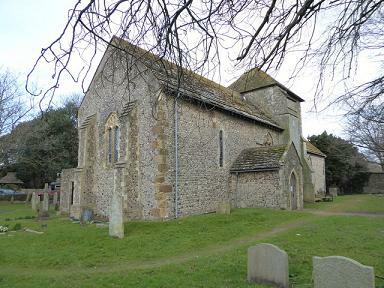 The foundations and lower walls of the church itself are late Saxon and most of the rest of the exterior is 13th century. Had you seen this site Temp? Religious sponsorship of "recluses" might have vanished in recent centuries. But (thanks be to God, says he ironically) they persist, and they are still my favourite people. 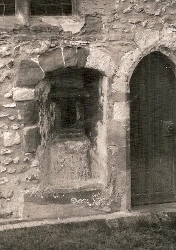 The anchorite paid an annual rent of eight pence for a garden “newly walled”’, while Emma Scherman of Pontefract was apparently given permission to be rehoused because her garden was too noisy. PS Thanks for bothering to reply - appreciated. A fascinating topic, Temp, and one where the feminist, gender and queer theorists have had a field day (now there's an odd expression) with their interpretations. Voss, Meskell and Gilchrist amongst others are worth reading on this. I am much taken by these 'luxury' anchoritic accommodations, compared to the woman whose little cell had a self-dug grave in the corner in which she knelt to pray and where the sanitary arrangements were particularly primitive - I must try to remember which particular recluse that was - they must have been the de luxe end of the business. I wonder if the NT have any available for holiday rental? Will check out the references. Encore merci. I wonder if the NT have any available for holiday rental? Or the Landmark Trust maybe? You'd get a superior sort of limewash on the walls in their cells. These things do matter in the contemplative life holiday. ("Either that limewash goes, or I do.") Praying in one's little grave though - Oh Lord - that's too much even for an ilk like me. .... And with servants provided, so a bit like sheltered accommodation. There were some interesting points raised in that article: like that "anyone living in twelfth-century England would very probably… have had contact with a recluse", and that "Set at the heart of the community… it was an unwise recluse that entered her cell to achieve peace and quiet". Also the words of advice and rules written down in the old anchorite guidance texts: "... all guidance writers agree that the female recluse has a bigger problem than her male counterparts because she must overcome the legacies of Eve, in order to negotiate her contemplative potential. Women make both the best and the worst of recluses: they have further to fall (potentially at least), but, if they can overcome their inherent weaknesses, they may also rise higher. Certainly the dominant number of women who were attracted to anchoritism implies that this potential ascent was of significant interest to them. The guides argue that the anchorite’s cell potentially provides the female recluse with the opportunity, not to escape her Edenic tendencies, but rather to think through them and move beyond them." ....Edenic tendencies, good lord what a euphemism, and why were such tendencies only seen as a problem for women anchorites and never the men? Truely a medieval mindset. It's a student paper but a reasonable precis even if I don't totally agree with all of it and there's a good list of references.